If you have been hurt by someone else's recklessness, incompetence, or negligence, you may be facing tremendous medical bills and lost income, as well as experiencing significant pain. Often, your only recourse is to bring a lawsuit to seek compensation. In certain cases, punitive damages may also be available. People who have been hurt because of someone else's negligence can consult our experienced personal injury attorneys, who can assist Seattle residents with bringing claims against any parties that harmed them. Product liability lawsuits are often a useful way to hold a manufacturer accountable for a product that causes injuries to consumers or users. 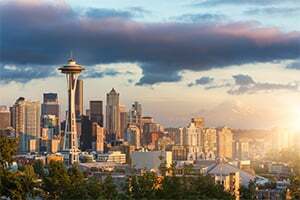 In Seattle, the Washington Product Liability Act for manufacturers and sellers provides a basis for a modified type of strict liability. This means that a manufacturer may be held responsible even if it was careful while making the product. In Washington, you will need to prove that your health care provider deviated from the professional standard of care and in so doing legally caused your injuries. Unless the deviation was so obvious that a layperson could understand that it constitutes malpractice, it will be necessary to retain an expert. Unlike in some other states, there is no cap on the compensation that may be available in medical malpractice lawsuits. The abuse and neglect of the elderly and disabled in nursing homes is a problem across the country. In acknowledgement of the problem, federal and Washington laws prohibit various forms of nursing home abuse and provide patients with rights. You may have grounds to bring a nursing home abuse lawsuit if a patient's rights are violated, causing injuries or a needless death. When you visit someone else's property and are hurt due to a dangerous condition on the property, you may be able to bring a premises liability lawsuit. Some dangerous property conditions include dog attacks, criminal assaults, tripping hazards, and improperly stacked merchandise. If a property owner or occupier does not use reasonable care to protect visitors from unsafe conditions, it may be held liable for their injuries. Car crashes often result from negligence. If you want to recover compensation from another driver, you will need to prove that the other driver breached their duty to use reasonable care while driving and that this was the legal cause of your injuries and related damages. Even if you acted carelessly and contributed to the crash, you still may be able to recover some compensation under Washington’s comparative negligence rule. Corporations and other businesses may put their own financial gain over your health and safety. If you are injured by asbestos that you encountered years ago on the job or contaminated groundwater, for example, you may be able to file a toxic tort lawsuit. What you will need to prove depends on the particular facts giving rise to your claim. Many toxic tort lawsuits are based on a cause of action for negligence. If you have been harmed as a result of someone else's negligence or misconduct, you may have grounds to bring a personal injury lawsuit. Representing victims in the Seattle area, the personal injury lawyers at Moll Law Group are staunch and experienced advocates who can vigorously assert your rights. Billions of dollars have been recovered in cases in which we have been involved. Call us at 312-462-1700 or complete our online form for a free consultation with a product liability attorney or guidance with another personal injury claim.